It may be time to stock up on Forever stamps. Regulators appear likely to accept the financially beleaguered Postal Service’s request for more freedom to raise the price of mailing letters. It would be the biggest change in the Postal Service’s pricing system in nearly a half-century, allowing stamp prices to rise beyond the rate of inflation. After a 10-year review, the Postal Regulatory Commission could make its decision next month. It might limit how high prices could go, but the cost of a first-class stamp, now 49 cents, could jump. It’s not known how much. Financial analysts praise the plan, but it has raised the ire of the mail-order industry, which could pay millions more for sending items like prescription drugs and magazines and pass the costs onto consumers. The Postal Service is trying to stay financially afloat as it seeks to invest billions in new delivery trucks to get packages more nimbly to American homes. An independent agency of government, the Postal Service has lost money for 10 consecutive years. While online shopping has led to years of double-digit growth in its package-delivery business, it hasn’t offset declines in first-class mail. Overall mail volume, which makes up more than two-thirds of postal revenue, dropped 27% over the last decade as people rely more on email and online bill payments. Congress’ failure to address the Postal Service’s underlying financial woes, such as onerous requirements to pre-fund retiree health benefits, has left the commission more likely to embrace the request for more pricing freedom. The Postal Service has ruled out closing post offices and ending Saturday delivery to reduce costs. “We are calling for action from Congress, but we’ll do what we have to, based on the reality of what is,” Robert Taub, the Republican chairman of the regulatory commission, said in a telephone interview. He declined to comment on the upcoming decision, but stressed a need to fix the balance sheet at the 242-year-old Postal Service, which generates $71 billion in annual revenue. The decision comes as internet sales continue to flourish, led by Amazon, spurring consumer demand for ever-faster and cheaper delivery. 40% of the e-commerce giant’s packages are delivered by the Postal Service, compared to 20% to 25% by United Parcel Service and 15% to 20% for FedEx, thanks to lower package delivery rates the Postal Service can offer by tapping into a network that already delivers to every U.S. household six days a week. 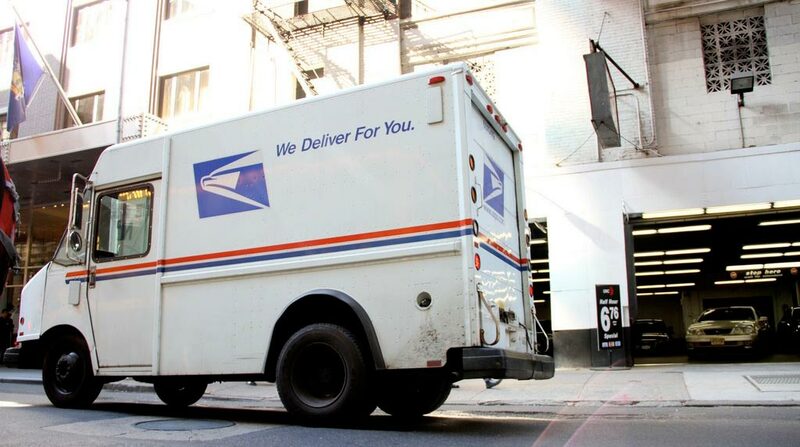 Still, growing competition is challenging postal dominance in the “last mile” portion of delivery, the final and usually most expensive stretch of a package’s journey to a customer’s door. Amazon has been testing the use of drones and launched Amazon Flex, a network of contract drivers similar to courier services offered by Uber. UPS has been trying deliveries via golf carts. The post office also takes hits for perceived bad service, including Reddit threads devoted to consumer complaints about lackluster home delivery attempts. But shipping rival UPS views loosened stamp rates as anticompetitive, by having stamps essentially subsidize package deliveries. The periodicals industry argues the Postal Service needs more pricing oversight, because of its monopoly in delivering letter-sized mail. The Postal Service, which reached its debt limit of $15 billion and runs perilously low in cash every October, has avoided bankruptcy by defaulting on billions of dollars in the health prepayments. It also has postponed much-needed upgrades to information technology systems. Still, the Postal Service hopes to replace its vehicles, many 30 years old and wearing down. A purchase order worth up to $6 billion would cover up to 140,000 trucks. The tall right-hand drive vehicles would accommodate slim letters and oversized packages alike, more akin to fuel-efficient UPS trucks. A big reason for the Postal Service’s losses has been a requirement under a 2006 law that it prefund 75 years’ worth of retiree health benefits. Neither the government nor private companies are required to do that. Bipartisan legislation passed by a House committee would ease much of the problems caused by the law. But it faces uncertain prospects. Ravi Shanker, an equity analyst at Morgan Stanley, said even if regulators lift the cap on stamp prices, legislation is still needed to address the health payments. “Given the size of the balance sheet hole, the Postal Service would have to raise prices astronomically to fix it,” he said. Ross, the shipping analyst, said the Postal Service would have to show restraint in raising rates or risk losing price-sensitive customers.